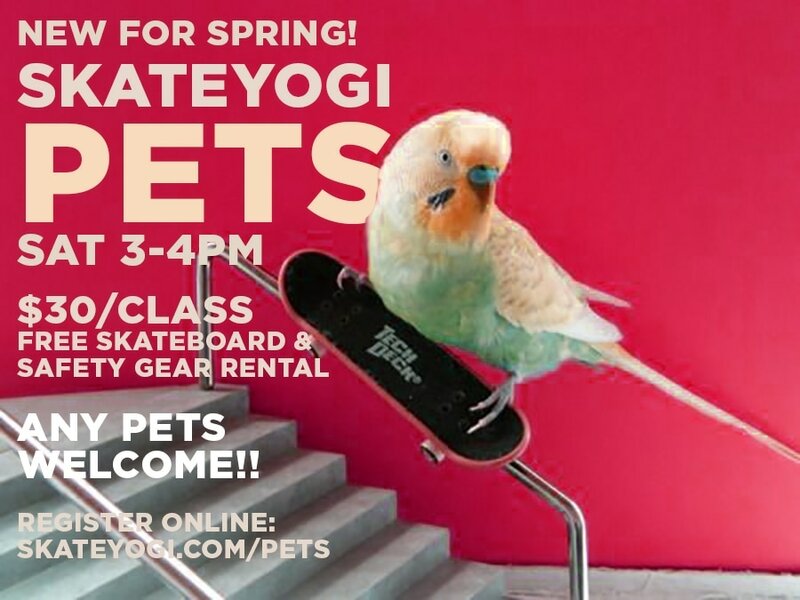 Thank you for your interest in the SKATEYOGI Pets class! Happy April Fools Day! Please enjoy some our favorite animal skateboarding videos. Namaskate! Looking for classes for humans?